Free Store Pickup – Buy Online & Pickup Today! The Helpful Place just got more helpful, introducing FREE STORE PICKUP at Goffstown Ace Hardware stores. In a hurry or need something right away? 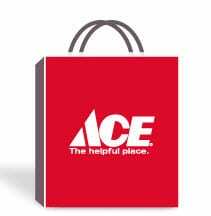 FREE STORE PICKUP allows you to make a purchase on acehardware.com and pick it up at Goffstown Ace Hardware stores today – providing we have the product in stock. You will receive an email when your item(s) are confirmed and ready for pickup.